I hope you love my fall favorites as much as I do! This skirt is only $20 and will pair perfectly with these adorable lace up heels, floppy hat, and white blouse. Im in love!! Enjoy! Dress: HERE Only $10!!! | Flats: Nordstrom | Bag: F21 only $33!!! 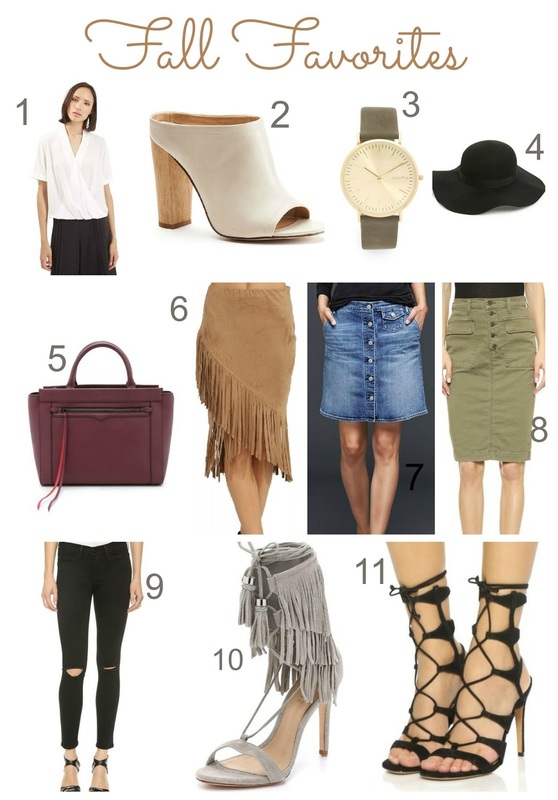 Inspiring selection, especially those fringe details! I need to get a pair of flats! Loving your leo pair. Great picks.. I'm obsessing over those heels!! Those booties at #2 are gorgeous! This dress looks beautiful on you, what a steal!! And I love your fall picks, so stylish! Elegant look! I like your style. And although it’s already autumn, this image reminds me of warm days thanks to bright accents.